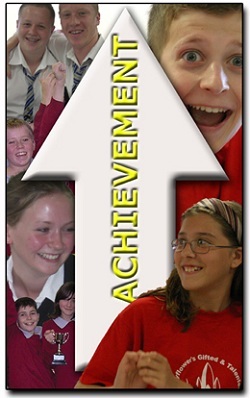 Making provision for the gifted and talented is sometimes considered the elitist approach. We consider it a time-effective method of designing exciting learning experiences that can be adapted for all other learners. Teaching to an ‘adventure story’ format provides unique opportunities for the teaching staff and the school. Delivering an event such as those outlined in this article is a motivating experience that should remind us of the reasons we started teaching. This approach fosters enthusiasm – the freedom to trial new methods of delivery, new equipment and new resources in our lessons. Specialist events enable teachers to quickly evaluate the impact of teaching and learning styles adopted. The opportunity for immediate feedback and analysis enables the further development of effective classroom resources within a short time period. Furthermore, activities can be designed for cross-curricular use, impacting on classroom teaching throughout the school. We are fortunate enough to work with hundreds of schools, primary and secondary, with a specific focus on the provision for gifted and talented (G&T) pupils. The common aim is to improve the level of creative thinking throughout the curriculum, for both the learners and their teachers. These schools have adopted an approach that helps them to develop new activities and delivery styles for the classroom, meaningful and practical CPD, greater parental involvement and themed homework challenges. These schools have opted to host Adventure, Thriller or Horror themed events. An increasing number of schools are opting to include ‘Adventure Events’ in their timetables. The events are not one-off spectacles of entertainment, but specifically-designed courses for G&T pupils that allow schools to meld creative teaching and learning styles with the use of the latest, genuinely exciting equipment (biotechnology, robotics, video editing etc). The approach has not failed to generate enthusiasm: 100% of participating schools recommend the events, as do 99.8% of participating pupils. This style of delivery is about fuelling pupils’ imagination, immersing them in a storyline in which anything can happen. This proves to be an extremely powerful tool, allowing the inclusion of practically any part of the curriculum in a series of lessons that generate the motivation for pupils to develop and use their abilities to the full. Imagine teams of six heroic individuals, embarking on a mission of gargantuan proportions. Our most popular is an ill-fated colonisation of Mars, wherein the event is introduced as a space race: teams of pupils represent different nations in their quest. The pupils need to cooperate to ensure success, but only one team can claim final glory. Teams must invest funds wisely and determine which of their team members have the skills required to successfully complete each of the challenges faced. Success in experiments and problem-solving tasks is essential. The pupils adopt techniques used in scientific research, as they face a terrorist plot, a disease outbreak, industrial espionage and a dangerous Martian expedition! The excitement is tangible and the sense of competition strong. The experience is undeniably real and therefore more clearly remembered. Science is not only fascinating: it is challenging and unexplored! This was just what I was looking for. A wonderful programme supported with truly dedicated and massively enthusiastic presenters that know how to get kids learning. You could tell they were experienced teachers the moment the class walked in – no classroom management issues all day. Everything is delivered so smoothly, with such attention to detail that it does feel as though you are part of a film (the thriller in our case) and the kids have so much fun they don’t even realise they are learning until it is time for the appraisal. Simply, a stunning programme.